Last week on Mom's library, a weekly linky party that I cohost on Tuesdays, the moms were talking turkey. There were so many wonderful turkey activities shared on Mom's library. 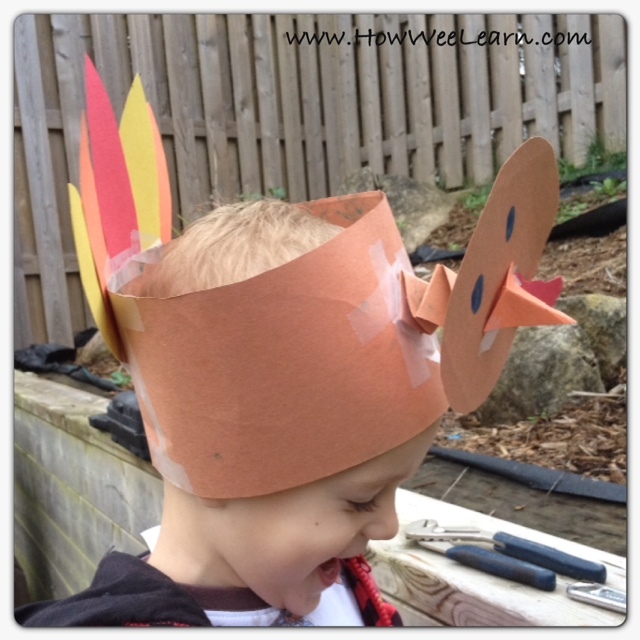 There were turkey crafts, turkey themed learning activities, printable activities, Thanksgiving picture books, and more! 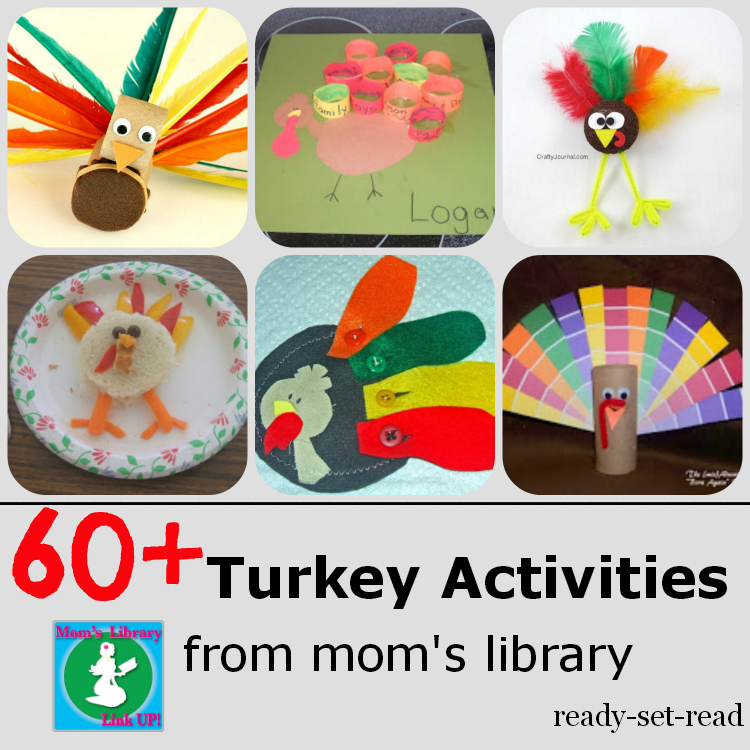 I tried to pick out a few of my favorite turkey themed activities to feature on Mom's library. My list kept growing and growing and growing. It seems I love all of you turkeys... I mean, I love all of you moms and your turkey ideas! I really wanted to feature all of these awesome posts in one place. I decided to post my features early today and return later today with my full mom's library post. Not only is my feature list super long this week, the giveaway list is also lengthy. Today kicks off the Big Holiday Giveaway with Mom's Library. I'll have full details tonight in my link up, but you can head over to True Aim, visit the Big Holiday Giveaway, and begin entering now! Check out these 60+ turkey activities, crafts, and books for kids. 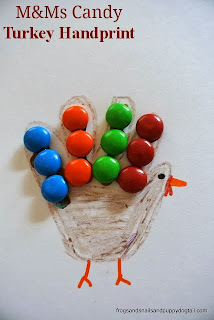 I hope you can add a few of these to your Thanksgiving crafts for kids. Multicultural Thanksgiving Books for Kids from What do we do all Day? including Duck for Turkey Day. (Can I include a book about a duck on a turkey round up? I think I can. Am I talking to myself? I think I am.) There are also several traditional turkey books in this round up! Thanksgiving Books for Kids from All our Days including turkey books like, "Run, Turkey, Run!" Thank you to all of the wonderful moms who link up to Mom's library each week. Remember to come back for the linky party at 7 CST tonight. Turkeys galore! I love it. Thanks for including our fine motor turkey activity. Thanks for linking up Shaunna. I love the extra fine motor skills practice that your activity included! Holy Turkeys Batman! 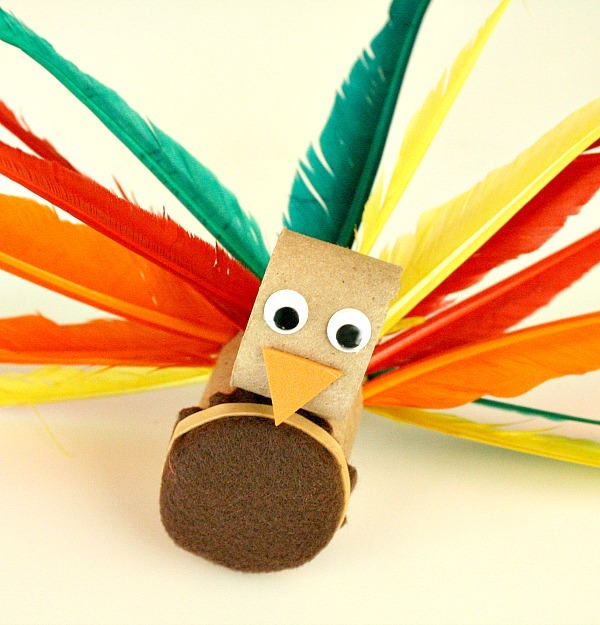 One great round-up -- I really like the turkey with the paint swatch feathers :) Thanks for including us too! 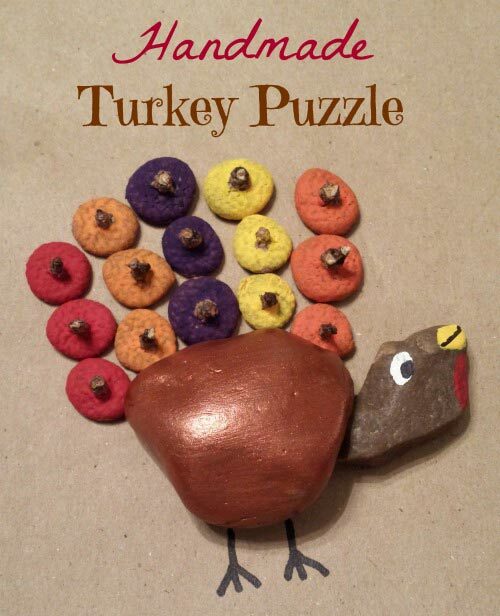 Thanks so much for sharing my turkey felt board post! Thanks for featuring my family hand turkey!